Volkswagen India has recalled over 3 lakh cars (3,23,700 approx.) in light of the emission scandal. This recall is issued following speculations in the Indian media over last few days. This recall will affect 1,98,500 units of Volkswagen, 1,98,500 units of Skoda and 36,500 units of Audi fitted with the EA 189 diesel engine. Cars affected will be those which were manufactured and sold between 2008 and November 2015. The Indian cars under recall are fitted with engines of varied capacity from 1.2 to 2.0 litre including the 1.5-litre and 1.6-litre. The German carmaker has said that it has presented a possible solutions for the affected cars to ARAI (Automotive Research Association of India) and Ministry of Heavy Industries. “Once approved from the competent authorities, the respective brands of the Volkswagen Group in India will carry out necessary actions in a step-wise manner,” the statement quoted. Volkswagen is planning to inform the customers about the recall through respective brands and will then implement the presented solutions on approval. 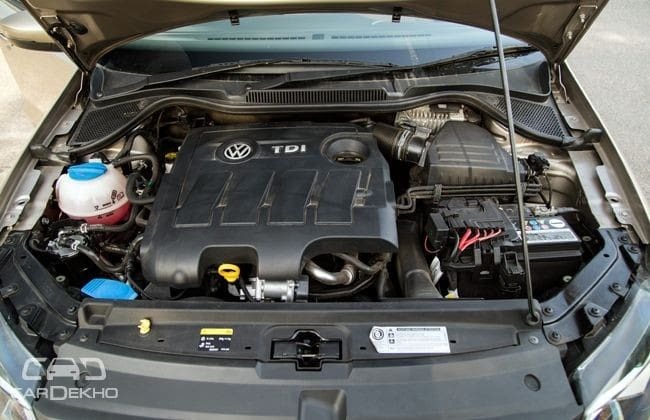 As CarDekho previously reported that Volkswagen Gets Solutions Ratified for Dieselgate Scandal, company is likely to implement same solutions for 1.6 litre and 2.0-litre engines in India too. Solution for 3-cylinder 1.2-litre diesel engine is yet to be presented by the company.